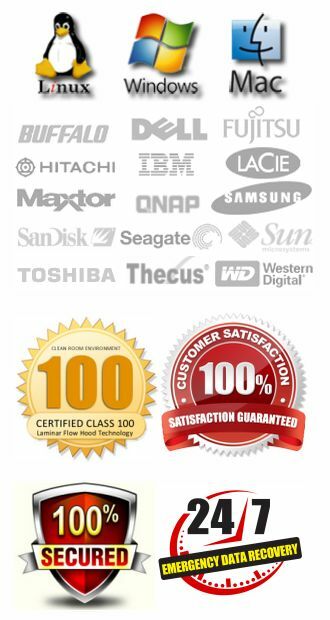 ACS Data Recovery is based in Central Texas. This means we are able to service a large portion of the state. We are just a couple of hours away from every major metropolitan area within Texas, including the Dallas / Fort Worth region. This means you don’t have to worry about shipping your storage device out to California, New York, or Florida in order to receive professional hard drive data recovery services. We provide hard drive recovery and RAID data recovery services for the Dallas / Fort Worth area. Even though our main lab is not located in Dallas, we are still able to help you. We are located just a short drive away from the Dallas / Fort Worth Metroplex. When you need hard drive recovery, especially in cases where a hard drive is clicking or in situations where you need RAID data recovery services, it’s imperative you work with a reputable data recovery company. Your local computer repair shop is only going to be able to do so much. In most situations where a hard disk drive has become inaccessible, they won’t be able to help you get the data off your drive. If you are in Dallas and need help getting your data recovered, please don’t hesitate to call and speak with one of our representatives. Since we are only a couple of hours south of Dallas, you can actually send your media in one of two ways. Most of our customers ship their media to us. 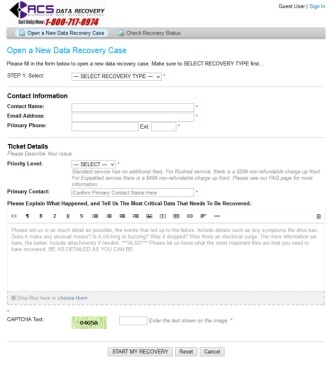 You would start by creating a new data recovery case, and ship the storage device to the address that is given. It should be noted that typically UPS Ground service is sufficient for us to receive your media the following business day. Since we are only a couple hours south of Dallas, Ground shipments from the Dallas / Ft Worth area typically arrive in one day. If you want to personally deliver your media to our facility, you would just need to call ahead of time to let us know you are on your way. We are not a walk-in business. We keep our office locked up 24-7, and it will actually look like no one is there, even when we are there. If you are coming from Dallas, take I-35 South to Temple. We are located at 1005 Marlandwood Rd in Temple, TX.